A once in a lifetime opportunity to purchase one of the largest parcels of land situated within the secure gates of Gables Estates. The property is over 3 acres with 750 feet of water frontage on a wide water basin with endless unobstructed views leading to the bay. 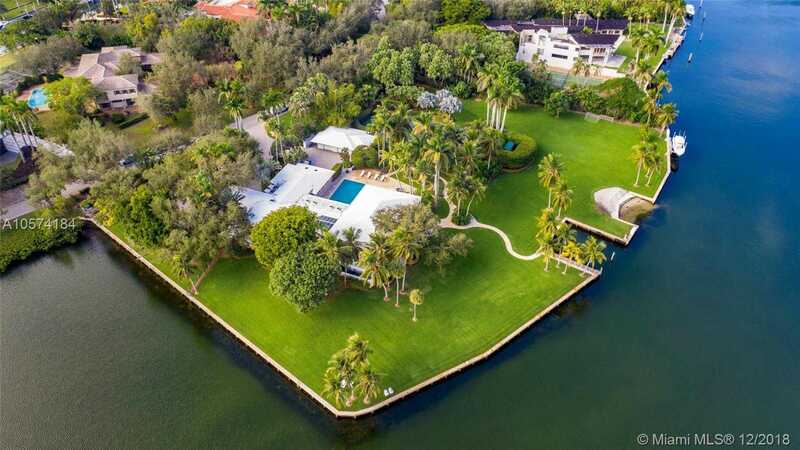 This magnificent residence offers limitless areas for entertaining with infinite water views, lush gardens, a pool, grandfathered in tennis court and private beach. Room for up to 150 x2019; yacht.